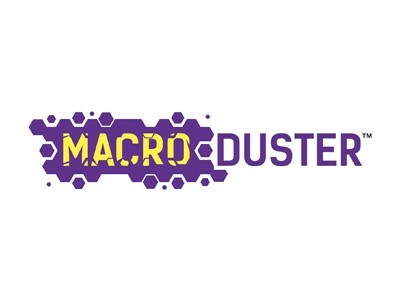 Macroduster™ is the first and unique enzymatic product available on the market specifically designed for the inactivation of macrolid antibiotics. MacrodusterTM efficiently inactivates Clarithromycin, Azythromycin, Roxithromycin and Erythromycin. MacrodusterTMfinds its application in macrolids sterility testing, total count, environmental monitoring and media fill. According to USP <71>, <61>, <1116>, microbiological test (sterility test, total count and environmental monitoring) carried out on compounds having antimicrobial activity (like macrolids) should be performed adding to the culture medias inactivating agents of the same compound. 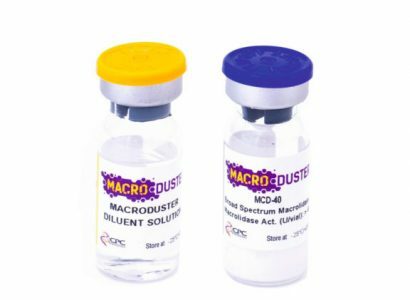 MacrodusterTM efficently inactivates Erythromycin, Azithromycin, Clarithromycin and Roxithromycin. The product does not contain animal derivatives and thus it is also particularly indicated for media fill. MacrodusterTM is available as freeze dried non sterile formulation together with buffer for powder reconstitution.